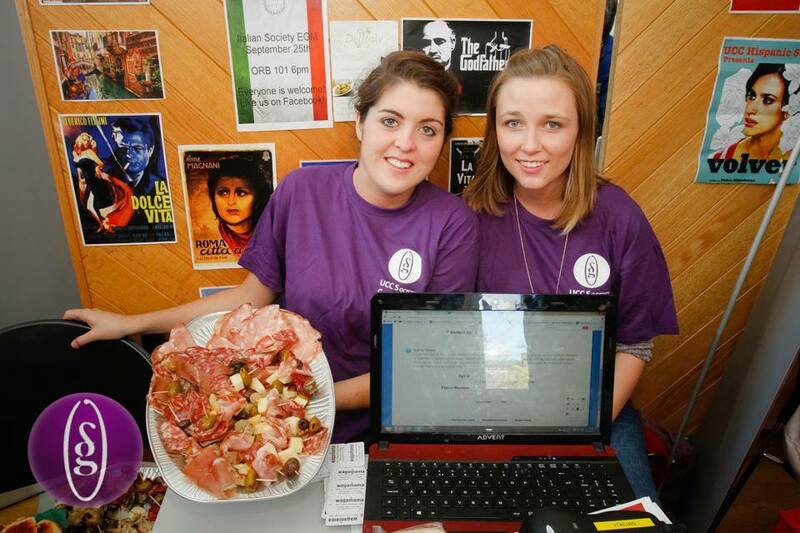 This week, we held a movie screening of ‘Cinema Paradiso’ in UCC. The unpredictable weather didn’t put a damper on the event; the students’ love for great films and authentic Italian cuisine brought everyone together for an enjoyable Thursday night in. Our promise of free pizza was fulfilled in good faith and we all enjoyed our fill of some very tasty pizza, courtesy of Pizzamore, College Road, Cork. We were impressed with the variety of pizza that Pizzamore provided, and everyone left in good spirits – even if a few pounds heavier! 😉 Complimenti e grazie, Pizzamore! 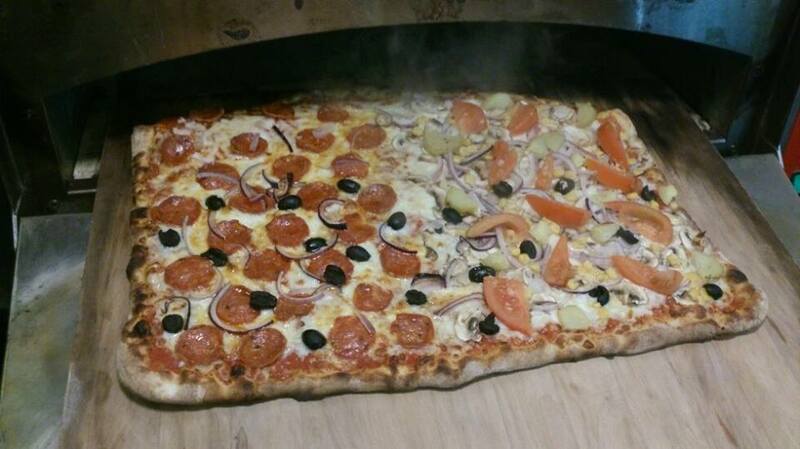 You have reignited our love for handmade Roman pizza and we’ll be back soon. We hope that those who came along for the movie night were entertained. We have more events planned for the remainder of the semester so we hope to see you again soon. As always, keep an eye on our Facebook and Twitter pages for regular updates. Wednesday, 6th November saw the Italian Society join forces with Europa Society and French Society in UCC for an intercultural social night. We had a great night at the Old Bar on campus chatting with so many people from all over. Although most of our committee members were comfortably happy in the familiar setting on their home turf, the Old Bar seemed to be transformed into a cultural hub – such was the high level of cultural intermingling in the place. The Old Bar was an intimate choice for the social night, and we had so much fun hearing interesting and entertaining stories from visiting students (many of them experiencing the ERASMUS programme) from within Europe. 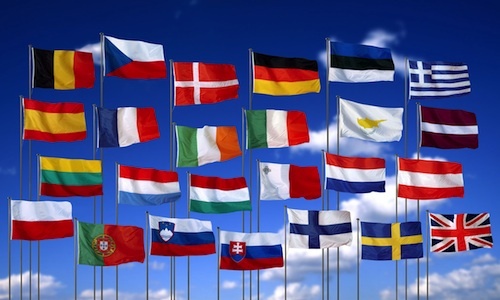 We had the pleasure of speaking to students from Italy, France, Spain and, of course, Ireland. The night was a resounding success and a perfect example of how a group of like-minded individuals with an interest in culture and a passion for languages can come together on what was a truly enjoyable evening. It was especially lovely to see new friendships forming in front of our eyes, as we know how difficult it can be for those spending time away from home. Thanks to Caroline Sheehan from Europe Society, Enda O’Riordan from French Society, and, of course, our Italian Society auditor Ciara Murphy, for their work in planning and preparing for the social. 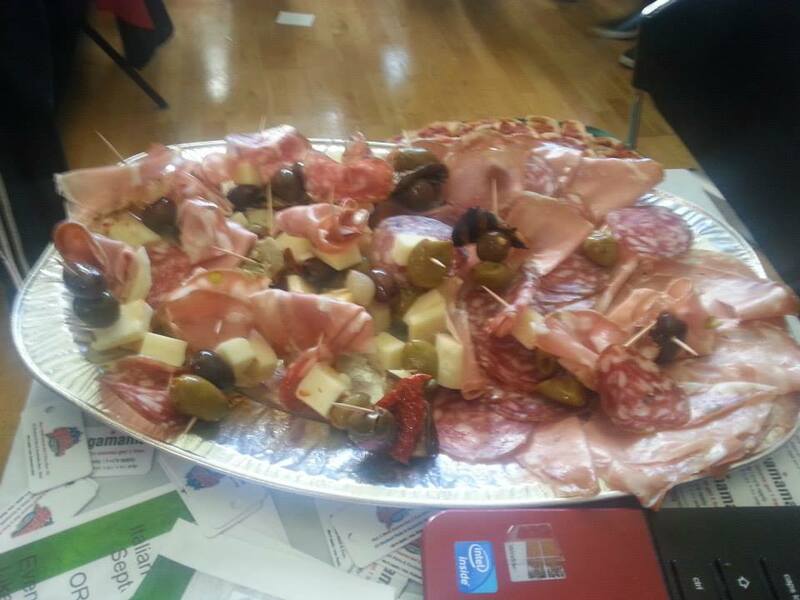 A big thank you is owed to The Boot (www.theboot.ie) for their delicious platter of salami, ham, mortadella olives and cheese. We’re so looking forward to our next night out of music, mingling and making lots of new friends! You can find out more details of our future plans on our regularly updated Facebook and Twitter pages.